Create a lifestyle of healthy movement with customized massage therapy and pilates packages that focuses on balance, strength, and healing. Whole Body Massage & Pilates provides a menu of massage services for nearly every person. Licensed massage therapist, Allison Butler, has almost 15 years of massage therapy experience to provide the most relaxing and healing massage you will experience. She also teaches private and duet Pilates focusing on developing new muscular patterns in your body. You will look better and feel better, contributing to a healthier, stronger, more stable version of yourself. Allison is Nationally Certified in Therapeutic Massage and Bodywork, as well as a member of the American Massage Therapy Association. She is trained and certified in many different massage techniques, including: Swedish, Deep Tissue, Prenatal, Postnatal, Hot Stone, Ayurvedic, Seated Chair and Aromatherapy. Pilates is a life-long practice. 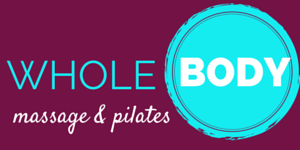 At Whole Body, you will discover that Pilates is a lifestyle of healthy movement!